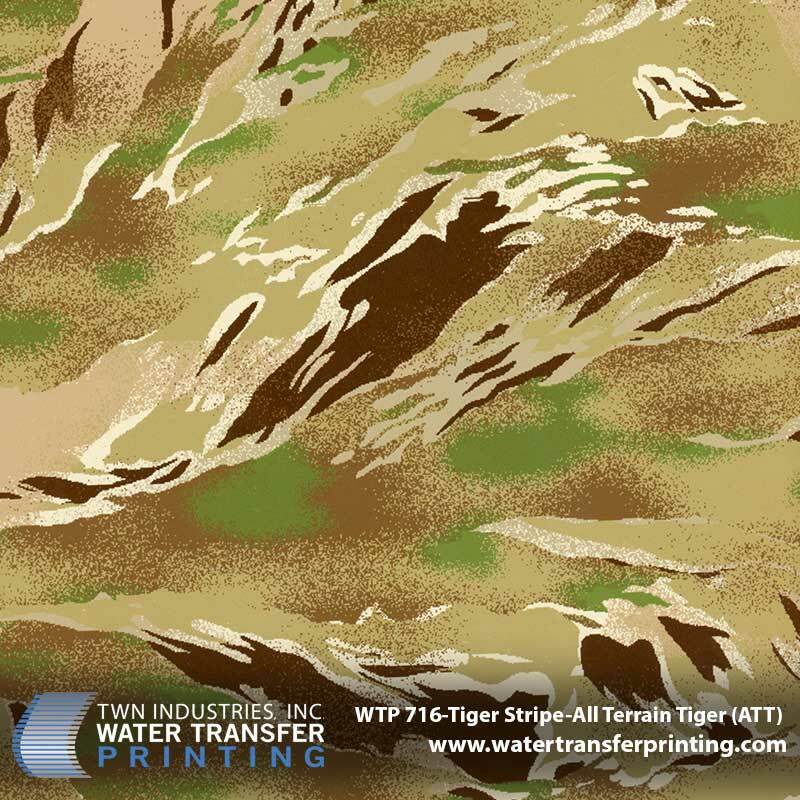 Princeton, Florida – June 24, 2014 – TWN Industries, Inc., the leading water transfer printing film developer and equipment supplier, has joined forces with Tiger Stripe Products to release the anxiously awaited All Terrain Tiger™ hydrographic film pattern. ATT™ is a complete re-design of TSP’s classic Tiger Stripe pattern. This outstanding design provides the optimum combination of contrasting shapes and coloration’s to effectively disguise a person’s silhouette, resulting in maximum concealment within a wide variety of environments. 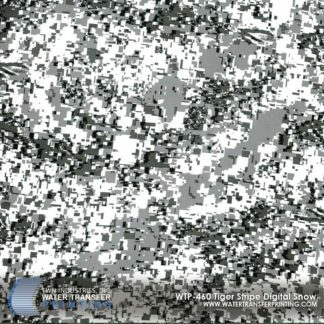 Military, Government Agency, Law Enforcement Department, or Professional Security Force can now deliver an extremely high- level of camouflage effectiveness to its personnel with this outstanding new Tiger Stripe camouflage design. The pattern has also gained tremendous popularity among hunters and Airsoft/paintball players. “We worked very closely with Tiger Stripe Products for the past year in order to achieve an accurate depiction of the All Terrain Tiger™ pattern. Our team is extremely satisfied with the outcome and feel confident that fans of previous Tiger Stripe patterns will feel the same,” stated Mike Richards, Director of Business Development at TWN Industries. 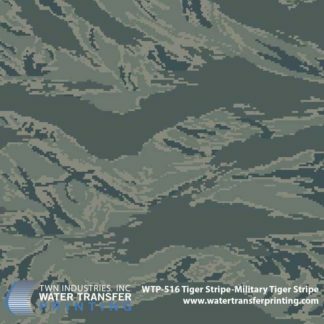 Tiger Stripe Products® All Terrain Tiger™ water transfer printing film is available exclusively through TWN Industries, Inc. Three-meter accessory packs are available immediately. The part number for All Terrain Tiger™ is WTP-716. To find a TWN Certified Decorator who can decorate products for you, or to purchase film, call 305-258-9622. 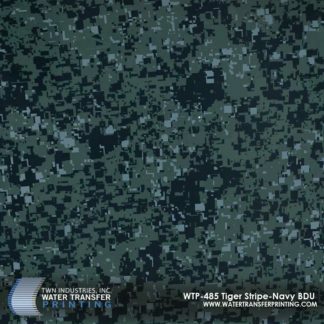 Tiger Stripe Products (TSP) has been in the camouflage business since 1984, beginning with its copyrighted Original Vietnam Tiger Stripe pattern. For the last 20 years, TSP has been designing and licensing patterns to large garment manufacturers such as Propper International and Atlanco/Tru-Spec. In 2002, TSP was tasked by the U.S. Air Force to organize their uniform development program. Many patterns are currently available for licensing with more on the way. It is also possible to “digitize” any standard style camouflage. TSP patterns are licensed primarily to manufacturing companies and governments with complete uniform packages available. For more information, visit Tiger Stripe All Terrain Tiger™.